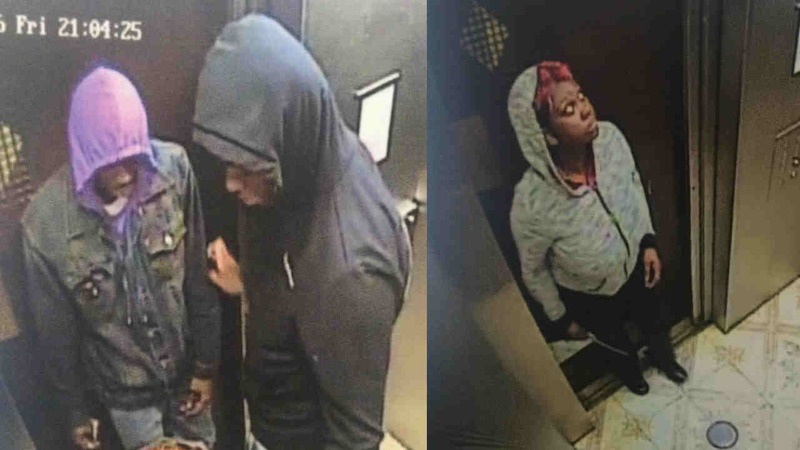 HAMILTON HEIGHTS, Manhattan (WABC) -- Police are looking for three people who robbed a food delivery person of hundred of dollars last month in northern Manhattan. Around 9 p.m. March 11, two men and a woman approached a man in the elevator of an apartment building on West 142 Street near Broadway in Hamilton Heights. According to the New York City Police Department, they stole $280 in cash from the victim, as well as the food he was delivering, then fled. Anyone with information on the case is asked to call the NYPD's Crime Stoppers Hotline at 1-800-577-TIPS (8477).